Users seeking the ultimate machine, minimizing downtime and increasing productivity choose Power Eagle ST Series machines. These units are permanently installed and may be tailored to fit the user’s existing fuel and electrical systems. 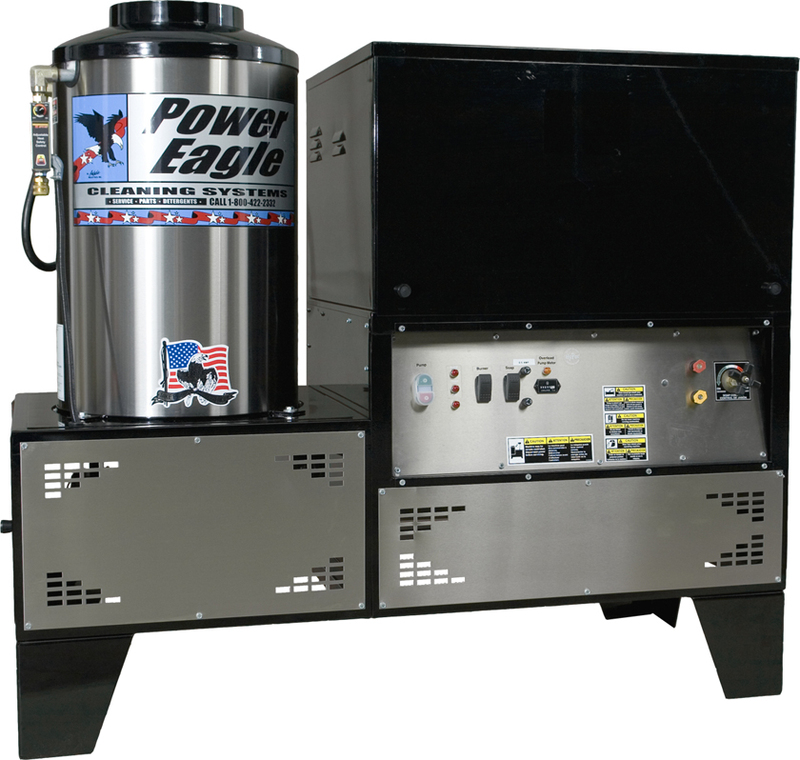 The Power Eagle ST series machines are designed to be permanently installed in wash bays, shops, manufacturing plants, or other facilities with high volume use requirements. These units are available in all popular voltages and can be fueled with oil, natural gas, or L.P. gas. This allows the user to select a fuel and electric supply already available in the facility. These machines can be piped to several points of use, and controlled remotely from those areas. Larger GPM models can be adapted to run multiple guns simultaneously. The ST series represents the ultimate in quality American craftsmanship. You won’t find a more robust, durable hot pressure washer available at any price. Designed to be permanently installed in wash bays, shops, manufacturing plants, or other facilities with high volume use requirements. The ST Series units are available in all popular voltages and can be fueled with oil, natural gas, or L.P. gas. This allows the user to select a fuel and electric supply already available in the facility. These machines can be piped to several points of use, and controlled remotely from those areas. Larger GPM models can be adapted to run multiple guns simultaneously. The ST series represents the ultimate in quality American craftsmanship. 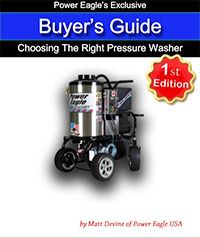 You won’t find a more robust, durable hot pressure washer available at any price. Featuring our Power Eagle Clutch-Drive Pump Protection, which saves your pump from damage caused by excessive idle times.